Schools in Massachusetts will soon be able to teach LGBT history and health due to the introduction of a new syllabus. The new curriculum, developed by a group of teachers, will include lessons on LGBT history and health while also expanding the scope of other existing lessons. English lessons in the state may now include LGBT poets and writers such as Langston Hughes, as well as examining LGBT themes in classic literature. The updated syllabus is expected to be introduced in schools this September. The new curriculum is a joint project between two groups — the Massachusetts Commission on LGBTQ Youth and Massachusetts Safe Schools Program for LGBTQ Students. Commission director Corey Prachniak-Rincon told the Boston Herald that it was important for LGBT students to be represented in lessons. He said: “If students don’t see themselves in the curriculum, they are not as likely to pay attention. A spokesperson for the Massachusetts state education department stated that the curriculum would not be mandatory, as decisions about lesson content are made on a local level. However, the state education department did say that the resources would be available to all schools in the state. 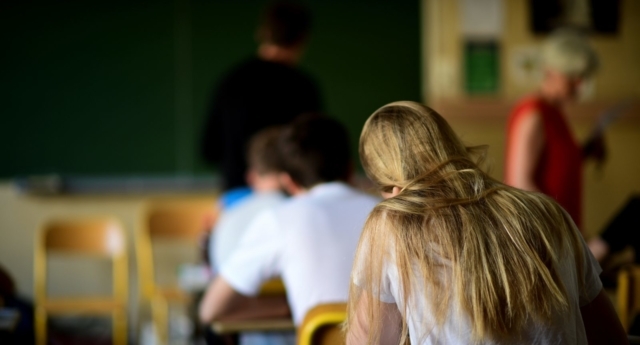 The introduction of the new curriculum has been praised by the Boston Teachers Union (BTU) which has previously supported the introduction of LGBT resources in schools. BTU president Jessica Tang, who is bisexual, said that the new lessons could make it easier for students or teachers to be openly LGBT. “This is important. It is still hard for students and teachers to come out,” she said. With this policy, Massachusetts joins a slowly growing number of states to teach LGBT issues in the school curriculum. On April 12, lawmakers in Illinois pushed forward a bill that would require schools to teach LGBT history to students in the state. It would mean the state will use LGBT inclusive textbooks, as well as dedicating teaching time to LGBT history. The bill was given its second reading earlier this week and was later supported by the state’s education committee with an 8-2 vote. The proposed bill would teach pupils about both LGBT history in the US and in Illinois specifically. If the Illinois bill is passed, it is expected to be implemented in all public elementary and high schools from this July.